Leicester City announced on Sunday that they were parting ways with manager Claude Puel following the club's fourth straight home defeat, this time at the hands of Roy Hodgson and Crystal Palace. It's been a long time coming for the former Southampton boss as questions over his future have been going on for months, but there isn't one reason why everything started to fall apart for Puel in the East Midlands. It's only natural for fans to look for that one game, that one result, that one substitution even, which turned a recently departed manager's fortunes on its head, but for Puel at Leicester City it was a cocktail of things which has seen him leave less than 16 months after his first game in charge. Firstly, there was a game quite early into his reign that affected the squad. But it wasn't losing to Manchester City on 10 February last year that caused the mood to drop at Leicester, it was the manner of their 5-1 thrashing which cut the deepest. Puel's side went into half time at the Etihad level with Manchester City, but four second-half goals from Sergio Agüero ensured the Foxes would return to the King Power Stadium with their tails between their legs. Following that result, Leicester City's consistency went out the window and they failed to go five games unbeaten in the Premier League until midway through this season, with defeats against the likes of Cardiff, Burnley and Bournemouth littering their results. On top of their inability to maintain any sort of form, Leicester City haven't been playing a brand of football - just calling it that seems like a push in itself - which can get the fans on board, even when you aren't getting the rub of the green on the pitch. Supporters aren't demanding another Premier League title to add to their collection. Heck, they're not even wanting to be in Europe, but fans at the King Power Stadium are rightly fed up at just making up the numbers in the top flight. The only excitement fans have had aside from individual brilliance from their star players is when Leicester City clawed their way out of a relegation fight which they shouldn't have been in in the first place. Puel's style not only failed to get fans excited, but it also didn't suit the nucleus of his squad. What makes that worse is that the 57-year-old has had plenty of time to sign players who do suit his system, but instead Leicester City's squad is now flooded with players who are in limbo over their future. Give Leicester City some Andre Villas-Boas madness. Been too long since my guy donned the PL touchline. But watch them give it to Mark Hughes until the end of the season. Brendan Rodgers another good shout or why not be really ambitious and call Paulo Fonseca in Donetsk. During his first summer transfer window, Puel splashed out £45.4m on three players who together have racked up just 13 appearances across all competitions this season. Çağlar Söyüncü, Danny Ward and Filip Benković simply haven't fit in with what Leicester City were trying to do under Puel, so much so that the latter has gone on to join Celtic on loan for the remainder of the season. 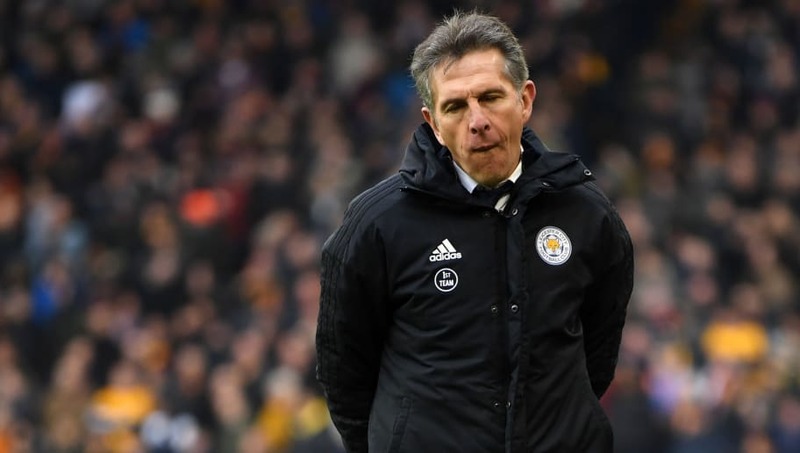 It hasn't completely been his own fault, however, as earlier this season Puel was tasked with steering Leicester City through an impossible and unimaginable situation following the death of the club's owner, Vichai Srivaddhanaprabha. The tragedy which the club had to go through has left them needing to wipe the slate clean with this season, with nothing more than Premier League survival the target for everyone at the King Power Stadium. They know they have to get back on track next season, so with Leicester City currently in very little danger of dropping back into the Championship, now is the perfect time for the club to build for the future and bring a new long-term head coach in.